I interviewed Aaron Krause, inventor of Scrub Daddy, who will appears on Shark Tank on Friday, October 26 (tomorrow) for the Shark Tank Blog. 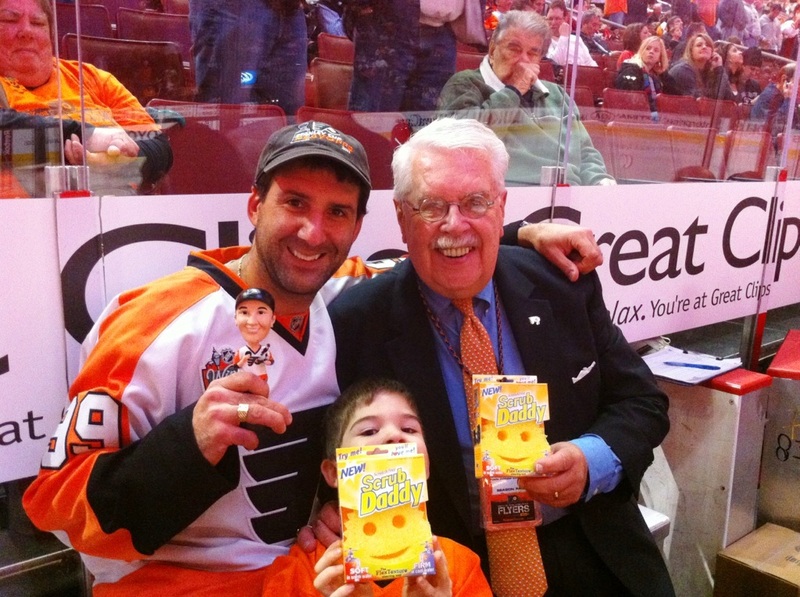 Aaron, pictured here with Philadelphia Flyers announcer Lou Nolan and his young camera shy son, is a Philly area native- currently living in southern New Jersey and RABID Flyers fan. He'll be answering lots of questions from the Sharks tomorrow night, but I had one very important question for him: "Do you put ketchup on your hot dogs?" His answer: "No. I'm from Philly. I put Cheese Whiz on my hot dogs; or, as we'd say in Philly, 'I'll have cheese whiz WIT my hot dog!'" 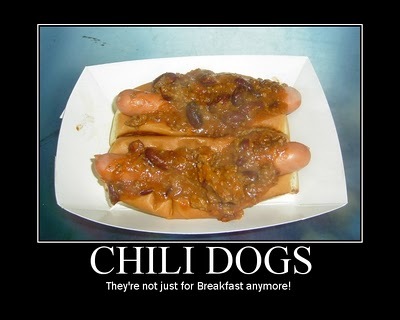 All apologies to Mrs. HDM aside, cheese whiz is a helluva lot better than Ketchup!